All over the world, since the beginning of time, people have come together around music and dance to celebrate life. These types of gatherings may have accompanied a harvest, birth, marriage, or could have just been a regular expression of joy within a community. Today, we humans have many of the same basic needs for social connection, expression, and movement, yet we have the unprecedented ability to link up these kinds of gatherings globally through technology. Another thing that makes today different than any time in history is that our technology for war and killing has the potential to destroy all of life on the planet. 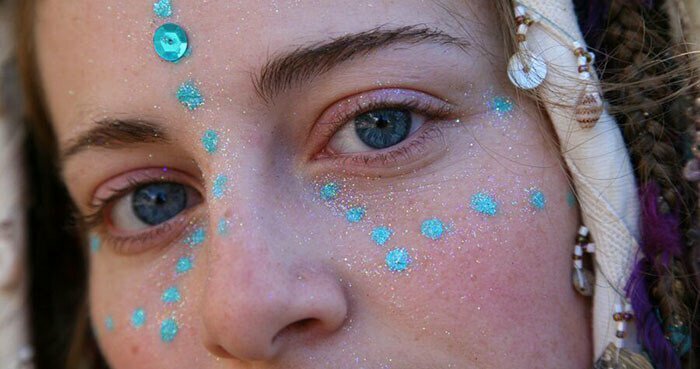 The need for peace has become essential for our future as a species and the Earthdance Global Peace Party is here to assist us in this awakening. Peace has become essential for our future as a species. Image: Earthdance 2006. 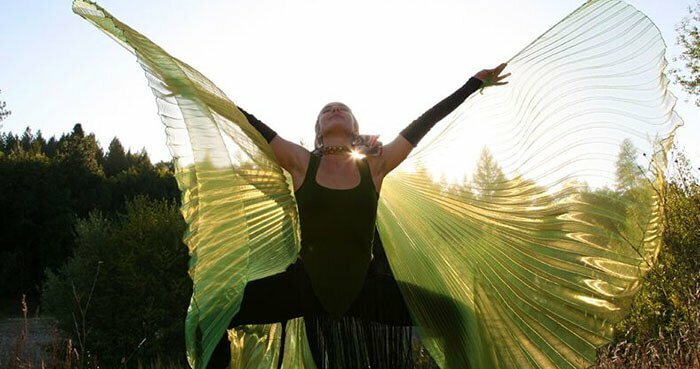 A core component to the Earthdance Community is that peace comes from living fully, loving without borders, and thriving, rather than protesting wars. When people are happy and fulfilled within themselves, they naturally want peace. That’s why Earthdance has been hosting joyous intention-filled dance parties all across the globe for 20 years. I had the pleasure to catch Earthdance Founder, Chris Dekker, on the phone and ask him some questions. Below you can learn about how and why this grass-roots movement has continued to evolve and inspire people for two decades. Peace comes from living fully, loving without borders, and thriving. Image: Earthdance 2005. Jacob: Chris, it is a pleasure to get a chance to talk with you about Earthdance! When our small group of friends first started Unify, your name (along with Earthdance) always came up as an inspiration for the idea of globally synchronized events. How did it all begin for you and Earthdance? Chris: I always had a passion for transformational events and experiences. In the early 90’s, the electronic music dance scene started growing in London. It was like a modern version of the ancient tribal ritual of dancing all night long. Jose Arguelles had inspired our generation with The Harmonic Convergence in 1987, which was based on his interpretation of the ancient Mayan Calendar. This was an influencing factor for a renaissance of ritual and ceremony in the emerging dance scene. Though it was technology-based, we wanted to return to our ceremonial roots by bringing a focused intention and sacred container to what we were doing. So the idea was born to create a Global Dance Party for Peace by connecting dance floors around the world, but remember, this was before the internet. Jacob: Wow! I recently did a piece about the health benefits of dancing, and music. 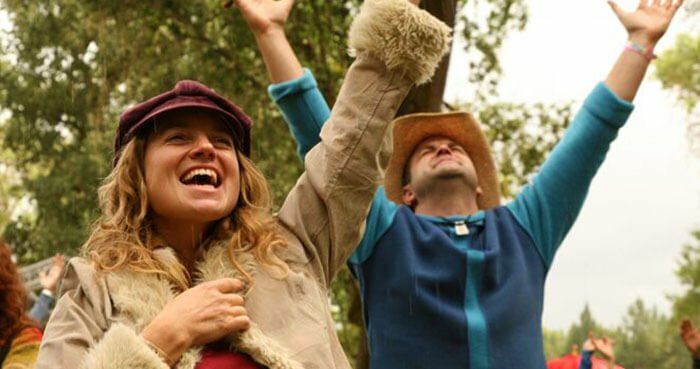 These are active ways to be in a state of joy, to feel connected, and ultimately to create a deeper sense of peace within a community. Though there is a whole lot of value in keeping rituals traditional, there is also something inherent in humans to evolve and develop ideas to fit the needs of today. Was the first year successful or did it take a while to build? Chris: Actually we had 18 cities participate the first year in the Global Prayer for Peace, which is central to Earthdance. At our peak, we had over 70 countries and 500 cities participating each year. For the first three years, we supported the “Free Tibet” movement. The proceeds we raised were donated to a Tibetan Orphanage in Eastern Tibet, to help build a school house and medical center. It was a proud moment when we received a thank you letter from the office of the Dalai Lama! Jacob: Party with purpose, I love it! But this all seems rooted in something deeply spiritual, which isn’t the normal kind of thing that music promoters do. What are the spiritual roots for you personally? Chris: (laughs) Well I have always been drawn to Eastern Spirituality and more earth based Shamanic practices, but in 1996 I went on a personal vision quest to explore the sacred land of Israel and various sites in the Middle East. After a deep and inspiring journey in Israel, I then traveled to Egypt to visit the Great Pyramids. On my 33rd birthday, I took a tour of the Giza Pyramid and in between tour groups, I was lucky enough to spend some alone time in the Kings Chamber. The energy in the chamber was incredibly strong and during one of those silent moments I had a vision for a Synchronized Global Prayer for Peace, with people from all cultures, ages, and time zones, praying at the same time. The idea of Earthdance had arrived. Earthdance received a thank you letter from the office of the Dalai Lama. Jacob: Yikes, that is pretty epic Chris. How does a person even begin to manifest a vision like that? Chris: With lots of their friends! (laughs) That is the beauty of Earthdance. I had my personal vision, but there were many others who inspired the process and helped build the foundation for the global event. We were grass-roots and decentralized from the start, fueled by friendship and inspiration. Anyone could be a promoter of an Earthdance event, as long as they stuck to the basic template of benefiting a non-profit and synchronising the Global Prayer for Peace at the specified moment in their local time zone. 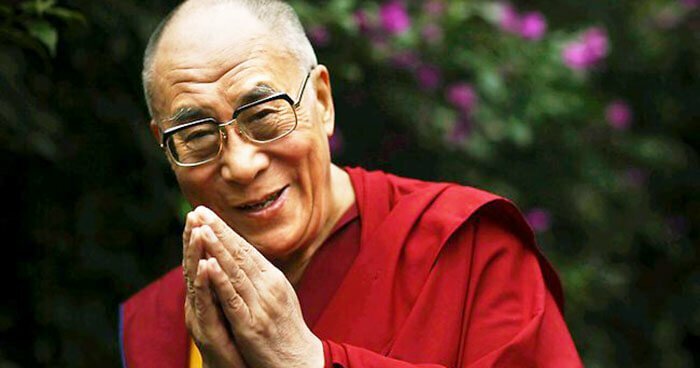 After the first few years of supporting Tibet, promoters wanted to benefit local charities so they could support initiatives in their own communities. We then allowed local events to raise money to support whatever cause they felt aligned with. This kind of local empowerment really blossomed. We encouraged people to make their own posters, pick their own musical acts etc. It started with electronic music, but as Earthdance grew, other music genres started to join, such as jazz, blues, jam-band, and even events on native reservations with traditional music. I think Earthdance is a testimony to the power of an idea that truly belongs to the community. There is no central office, no corporate branding or licensing. It is an “open source” party idea that has been embraced by the larger collective. Events range from people’s living rooms to one-day celebrations, club nights, and three-day camping festivals. 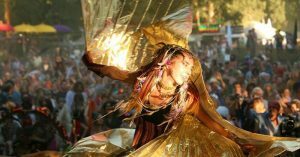 The intention of creating a “Transformational Festival” ended up inspiring much of the global festival scene, especially in California, where it really took off and continues today. The power of an idea that truly belongs to the community. Image: Earthance 2006. Jacob: Yes, I like the notion that ideas own us, instead of us owning ideas! I have enjoyed attending and writing about Transformational Festivals like Symbiosis, Lightning in a Bottle, Arise, Gem and Jam, along with others. I recently saw an article where the Do-Lab and Symbiosis made a public statement in support of the Sioux Tribe at Standing Rock. I think it is really beautiful to see artists, as well as event producers, standing up for social causes, sacred sites, and the water. Chris: We have always had a deep respect for indigenous cultures. As a matter of fact, Earthdance hosted one of the very first Indigenous Elders Symposiums in Mendocino County, California, as part of our three-day festival. 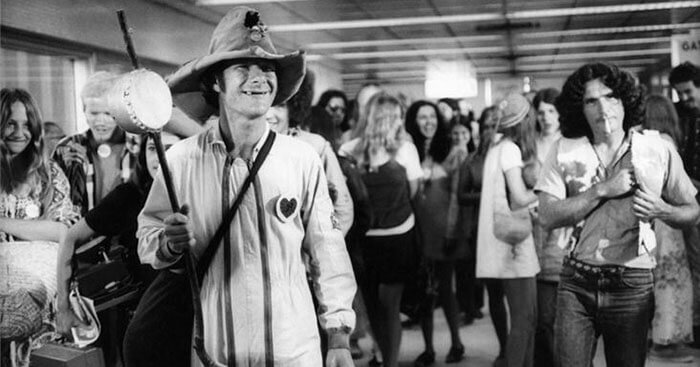 It was at the legendary Hog Farm, a hippie community that began in the 60’s by the famous “clown activist” and Woodstock emcee, Wavy Gravy, and friends. 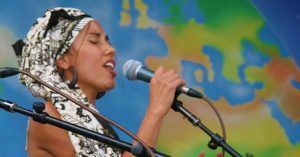 The tradition of hosting socially conscious concerts for peace has roots much older than Earthdance. The tradition of hosting socially conscious concerts for peace has much older roots. Chris: Ha, yeah it is all related. Well, Earthdance at the Hog Farm was more than a music driven event with major headliners. Our intention was to create a modern day “Wellness festival”, where people could celebrate, experience ceremonies, build community and leave rejuvenated and inspired. We hosted visionary elders from the ancient to the modern. Traditional elders like Oren Lyons, Grandma Agnus Baker Pilgrim, Q’ero elder Don Humberto Soncco (from Peru) along with contemporary visionaries, like Barbara Marx Hubbard, Arun Gandhi, Stephen Gaskin, and more. In 2004, speaking of the Grateful Dead, we hosted the World’s Largest Drum Circle with their drummer, Micky Hart. We made it into the Guinness Book of World Records with that one! Creating a modern day “Wellness festival”. 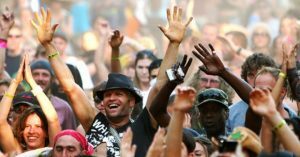 Image: Earthdance 2006. Jacob: That is ironic because I helped to organize Drumming Around the World to honor the birth of the White Buffalo in New Orleans back in the day. I had been inspired by the World Unity Gathering, which happened in Northern Arizona in 1994 during the same week that the White Buffalo was born. There really is a sense that all of us are tapping into a collective idea, and it is empowering to work on something creative that is much bigger than any one individual. Community art is a powerful way to heal cultural wounds! Chris: It is fun and a bit contagious isn’t it? 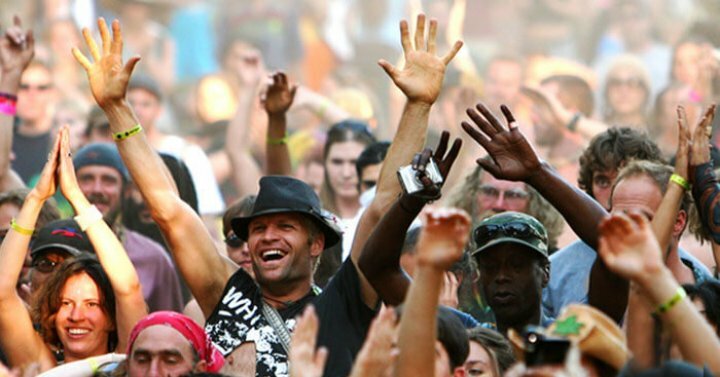 (laughs) Well in 2012, while your team were working on the globally synchronized meditation with Unify, I helped produce the first UPLIFT Festival in Australia, which was the perfect evolution of my work with Earthdance. The event was dubbed “The Visionary TED Talks”. In 2014, thanks to Mark Heley and the continued collaborations with the Unify Team, we launched the UPLIFT Media Channel. There really is a sense that all of us are tapping into a collective idea. Image: Earthdance 2006. Jacob: Well that certainly makes a perfect circle Chris. The synchronized meditations continue every equinox and solstice, and this year you are celebrating 20 years of Earthdance. Chris: Yes it is so exciting to team up with the United Nations International Day of Peace and work with so many great organizations like Be The Peace, United Religions Initiative, UPLIFT, Unify, and so many others. Jacob: Thanks for your time Chris, I look forward to this and many other future collaborations! Is there anything else you want to add or any advice for people reading this? Chris: Yes… If you have a vision go make it happen! If you don’t have one then go help someone else with theirs. No matter what. Be sure to join us on the dance floor and during our Global Prayer for Peace.